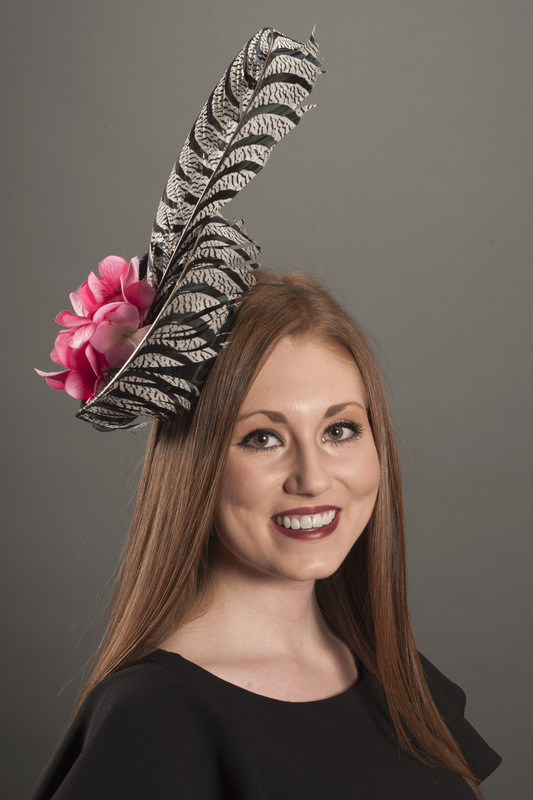 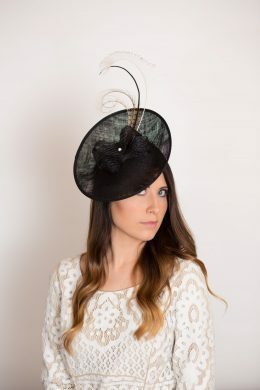 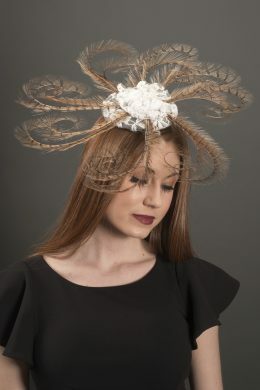 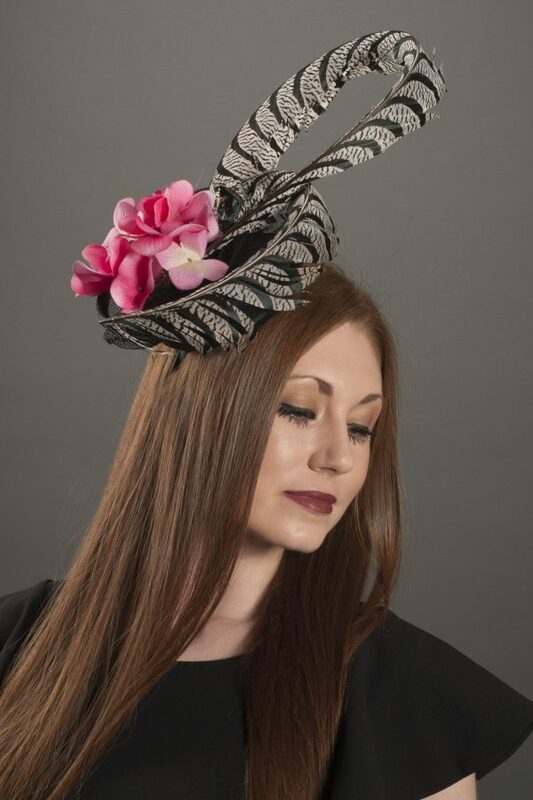 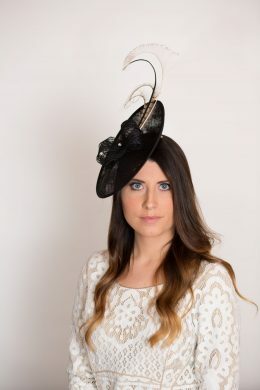 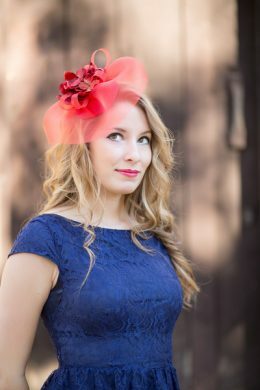 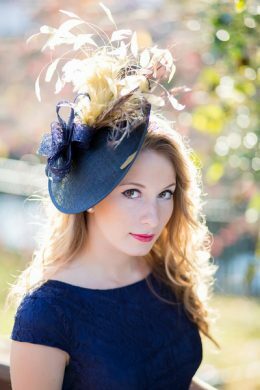 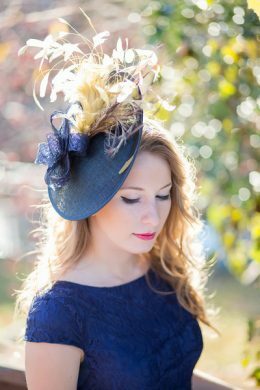 Josette is a one of kind, limited edition fascinator. 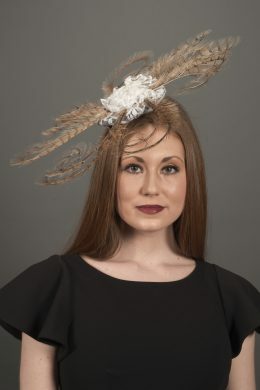 I curled pheasant feathers and attached them to a black base. 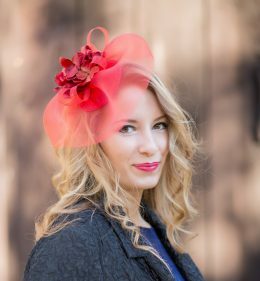 Vibrant pink multi colored hydrangena flowers finish this very creative fascinator. 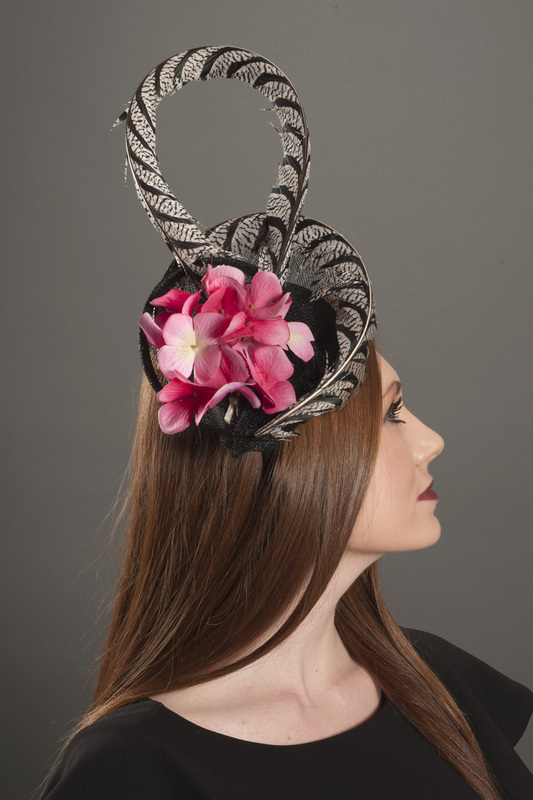 Perfect for any occasion, Josette is worn on a black headband.